Engler, Yves. Lester Pearson’s Peacekeeping – The Truth May Hurt. 2012. RED Publishing/ Fernwood Publishing. CANADA. My earliest memory of Canada´s famous, so–called peace maker is when he made Canada a nuclear nation. I remember that after his well–funded campaign defeated Diefenbaker, Bowmarc nuclear missiles entered Canada on the back on a truck on New Year´s Eve, 1963. They stayed across Canada in various military bases until Trudeau phased them out in 1971. So much for peace–keeping and the Nobel Peace Prize (awarded to Henry Kissinger in 1973, thereby losing all credibility anyhow). However it should be no surprise, as Engler documents in the latest of his excellently researched works on Canadian foreign policy, Pearson never wavered in his support of colonialism, violent intervention, militarism, South African apartheid, Israeli expansion and Central American oppression by the USA.Â In spite of Canada being a member of the International Control Commission in Vietnam, Canada under Pearson fully supported the USA in that war and was more than a willing accomplice; we were profiteers during the Vietnam War. Canada´s arms sales to USA doubled from 1964–1967 making us one the world´s highest per capita arms exporters. Engler writes this book as a submission to a possible “Truth and Reconciliation” commission about Canada´s foreign policy under Pearson; but maybe this book alone will help us to get rid of our comfortable myths about how good we Canadians think we were and are. Many left–liberal historians and political analysts today look back at Pearson with nostalgia as typifying a Canadian “nice guy” image and that somehow we should return to his policies and not accept Harper´s policies; the truth hurts indeed, as Engler writes, his policies were just as dirty as Harper´s; he just managed to cover them up with a friendly persona which fooled people for decades. 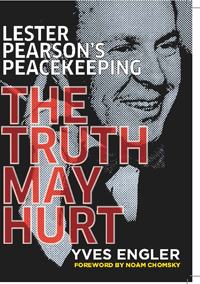 The truth that Pearson, the great peace–keeper, thought that his major accomplishment was the formation of NATO and its policies of uniting colonial powers against new governments and alliances may hurt, but progressives need to understand our history in order to work for real alternatives. Considering his role in so many conflicts and coups from Guatemala to Iran, it is really no exaggeration that Noam Chomsky in the book´s introduction calls Pearson a war criminal. ← Engler, Yves. The Black Book of Canadian Foreign Policy. 2009. 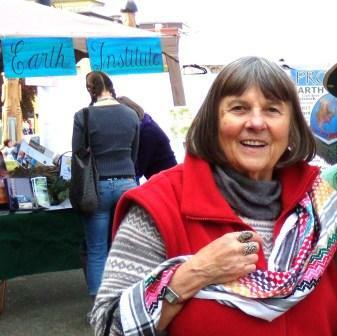 Fernwood Publishing & RED Publishing. Canada.